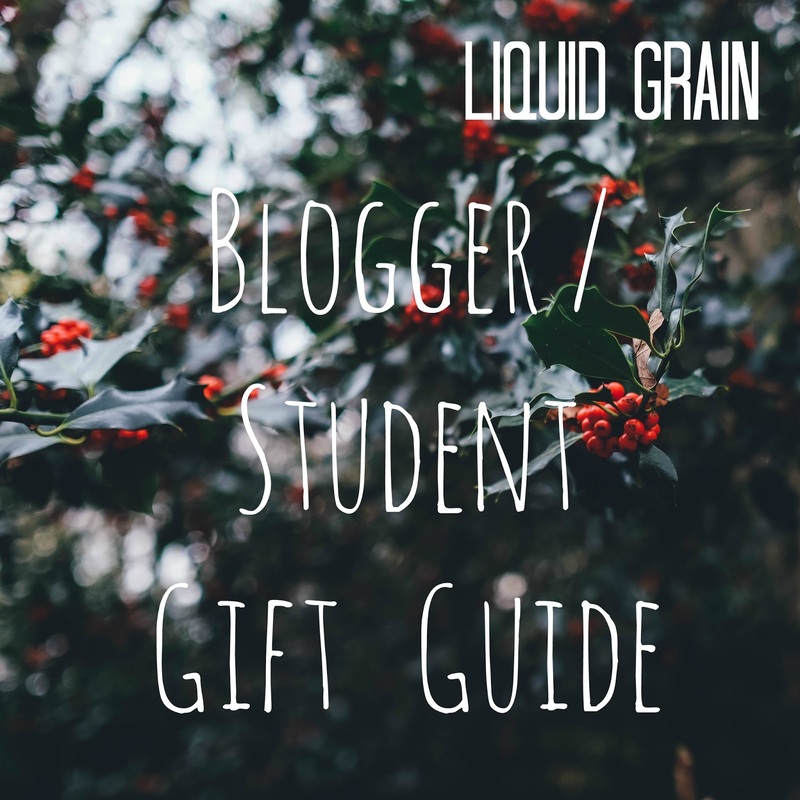 I'm late to this gift guide game- you guys know that I'm a student and in my final year, so this is a crazy busy time for me! Now that deadlines and exams are over I'm back to blogging and this YouTube business! Instead of doing generic gift guides I have decided to write a series of imaginary, unlimited money guides which are all focussed on one person! That way it is like a dream gift guide for one type of person. - I love a good notepad for both school and noting down blogging ideas, similarly if I'm at an event I like to be able to scribble things down. - You know from my various French Pharmacie Hauls this is the best lip balm in the world! - I have rediscovered my love of fresh flowers in the house, so I love a good vase. - Fairy lights for shooting videos or product shots are always nice. - If you know me in real life you will know every single coat/jacket/blazer has a brooch on it, and I thought this was cute. - Invisibobbles have changed my life - you can find out how here. - Now that you have to pay for plastic bags it is really handy to have a canvas one in your bag at all times, and this one contains an Alice in Wonderland illustration - one of my favourite books. Here if you didn't already know. - A fancy Kate Spade planner would be great to keep me organised. - This Bare Minerals brush improved my foundation application ten-fold, would highly recommend! - I really want a decent winter scarf as I live in Scotland and it's freezing! - I also love a good silk scarf. - Aesop skin products are great, Lancome Hypnose is a killer mascara- the only one I use! So my Mum always gets me a twin pack at Christmas because it's cheaper to double up. - I think the lamp would make a great piece as part of a YT background, depending on the bulb you find you could also use it for lighting! - Like the dress, simple! - As all students will tell you, our houses are freezing so a warm dressing gown is needed and this one is famously warm, soft and snuggly! - Sitting in the library this exam season you can't help but notice the gallons of coffee being chugged down, water is definitely needed and a fancy gadget is a sure way to get me into a new thing! I know I am not getting many "big" presents this year as I have had to get money to spend on boring grown up things like a suit for interviews and a couple of trips to London for interviews. So this section is a little more imaginary for me (and so quite expensive), I wanted to avoid the things that have been shown in a lot of different gift guides like make up eyeshadow sets because that's not really me. And this is my gift guide after all! - Various expensive silk scarves, because I love them and Hermes is god. - A Burberry trench is one of my extreme dream pieces. - I love the Jo Malone scents and buying sets are a good way to get a slightly better price for them. - I am actually getting a pair of Cloud9 hair straighteners because my GHDs I bought in 2nd year of high school (aged 12) have finally died. I'm super excited to try these out! - Beautiful big candles, although I'm not sure if I am responsible enough for that yet. Maybe just to keep them in the bathroom when I am having a bath- less things to set on fire. - As a bibliophile this F Scott Fitzergerald book set is just gorgeous! So there we have it! I know this is a weird way to do a gift guide but I hope you like it! And stay tuned for the next instalments! Thanks for the comment Dannii- there are always safe bets! Thanks Marie, it can be good to have some picks that everyone will like!